Neolithic figurines pictures collection from greek museums Each thumbnail photo is a link to a larger version of the same photograph. Neolithic statue called as 'the thinker'. Large solid figurine from Karditsa Thessaly. Final Neolithic Period 4500-3300 BC. 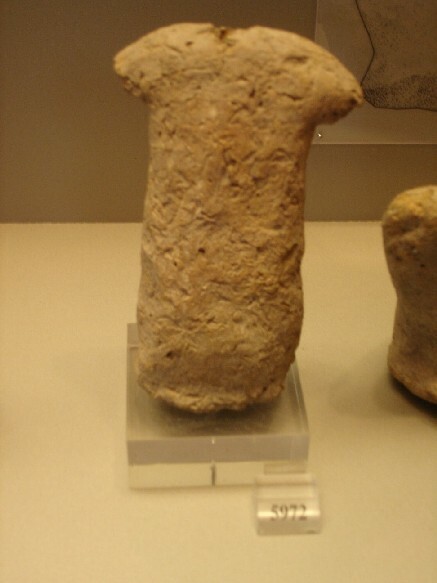 Neolithic statue called 'the Kourotrofos' - Nurse. Clay figurine of a woman with a n infant in her arms. From Sesklo. Marble anthropomorphic statuette from Dimini. National Archaeological Museum of Athens. Naturalistic marble female idol form the eastern Thessalian settlements of Neolithic period (5300-3200 BC). Museum of Volos - Thessaly.